"The promotion of European Dimension in higher educational institutions"
The Funding Organization: OSI Assistance Foundation. From November 30 until December 11, NGO SECND held a two-week winter school under the topic of "The promotion of European Dimension in higher educational institutions". The purpose of the project was to raise the administrators’ and lecturers’ level of knowledge of the methodology, planning, authorship, teaching, and assessment fields. The methodology of making multilevel higher educational programs. Many guests from Universities and different international organizations were present on the opening and closing ceremonies of the winter school. 29 representatives from state and non-state Universities, international and state organizations (see the participants' list) participated in the course. Such specialists of Bologna process as the professor Andy Gibbs (from Napier University, Edinburg) and the professor Terrance Clifford-Amos (from Christ Church University, Canterbury) were invited from Great Britain as the lecturers of the school. Armen Budaghyan, Associated Vice rector on Education Activities of YSU, represented Armenia. Among the participants of the school was also a student representative, "Education and Information for the Development" NGO's president Gevorg Tamamyan. He presented the actions that have been taken in order to raise the level of students and lecturers’ awareness of Bologna system. At the end of the program the participants held a round table discussion in the Yerevan State Conservatory and in the "Eurasia" International University introducing their gained knowledge to the lecturers and students of these Universities. Certificates of participation were then given to the round table discussion and winter school participants. NGO SECND with the support of OSI-Armenia and on the basis of YSU , has organized international summer schools for the administrators of Universities twice. 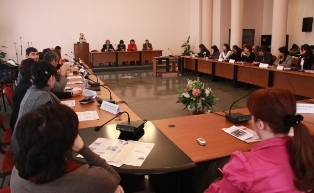 During the summer school of 2006, the topic of "Educational management under the Bologna process", not only covered all of the regulations of the Bologna declaration but also the benefits of Armenia in the process of its realization. 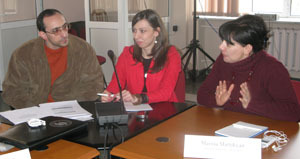 In 2008 NGO SECND organized a summer school under the topic of "The 3-Level Educational System Under the Bologna Process". During this summer school, questions relating to the management of graduate studies were discussed.